One of our buyers called us this week because she wasn't receiving new listing alerts. Nope, there wasn't anything wrong with our search setup; it's normal for this time of year. The Boulder real estate market is seasonal and December is normally a very slow month. Only motivated sellers list between Thanksgiving and New Years, which is why smart buyers don't wait until January to begin their search. Sometimes you can find a remarkable deal. So.. If you're thinking about buying a new home, get started early. And if you're considering listing your home for sale next year, interview Realtors now. We know a few good ones. ---- This week, only three new listings made our list. We also included a discussion of two recent sales. Ready to see some houses? Let's go! Remember: For a private showing and a data driven discussion of valuation, negotiation strategy, and market conditions, call Osman at 303.746.6896. This sale sets a new high watermark for Majestic Heights, with a price nearly 5% over asking ($488/SF). 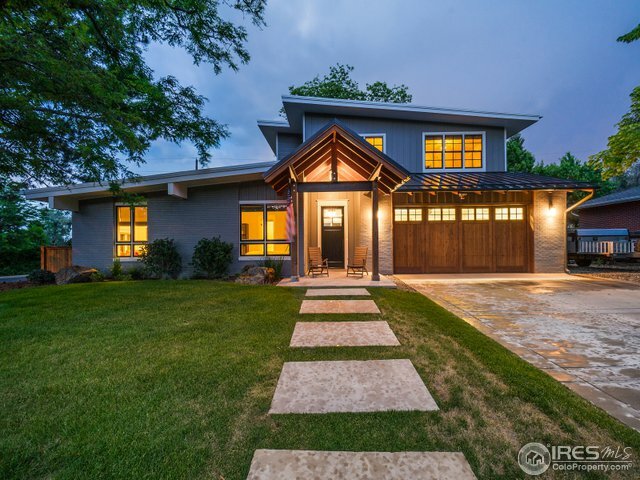 800 S 46th is a a beautifully designed, five bed, three bath, turn-key home with tasteful higher-end finishes throughout. It also has a two car garage and an oversized lot that backs to Tantra park. Market note: Even though the fourth quarter is a slow time in Boulder real estate - attractive, intelligently priced properties remain in high demand. This home was only available for a few days before a buyer snapped it up. 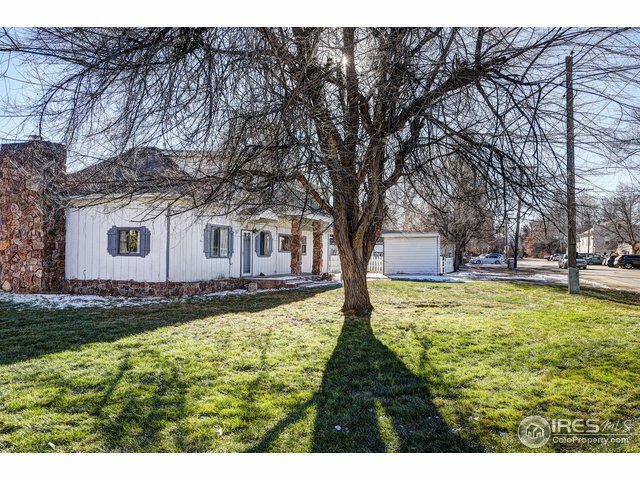 South Boulder is experiencing a frenzy of remodeling activity and this sale sets a good benchmark for the potential value of a well executed addition. We toured this Gold Run condo with one of our (repeat) clients when it first hit the market. For a number of reasons, it was a solid choice but our buyers weren't quite ready to pull the trigger. It went under contract just 5 days after hitting the market and sold for slightly over asking (not cash, a conventional mortgage). So let's talk about Gold Run. If you haven't already guessed, you can probably tell that I'm a fan of the development. 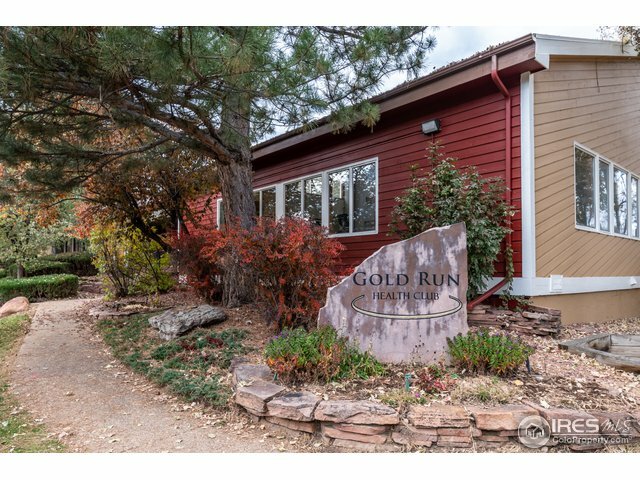 It's in a solid location in Boulder, right on the creek path, mere minutes from downtown. It's also directly across from Scott Carpenter Park (slated for a massive infusion of capital improvement), easily accessible to CU, and most units have functional layouts. The recent repainting of the complex has also substantially improved its curb appeal (well done, HOA!). With all of that said, valuation of Gold Run units is not straightforward. Some (like this one) have far better layouts than others. Parking spaces may be in the garage, or not. Some units have elevator access. Orientation to the creek is also an important factor. Due diligence: Fire history. Limited parking. Limited financing. Student density. Talk to your Realtor for an honest assessment. A nicely remodeled and expanded Victorian in Newlands with four beds, four baths, and a two car detached garage. Historic homes of this era never seem to go out of style. 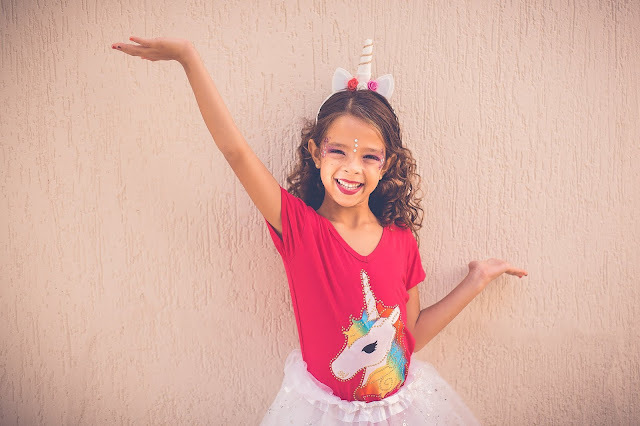 They also present challenges that include small closets, dysfunctional kitchens, obsolete mechanical and electrical systems, crumbling foundations, environmental hazards, and lack of insulation. It appears the seller has corrected many of these potential issues with their 2012 remodel, and it's a tasteful execution. Due diligence: 9th street is a main artery from Chautauqua, heading towards downtown and north into Newlands. Traffic starts diminishing as you approach North Boulder park. Buyers should verify traffic tolerance. The Alpine-Balsam project is also only 3.5 blocks from this home. It has the potential to impact many homes in Newlands, in both positive and negative ways. Talk to your Realtor and neighborhood expert for details. If your Realtor didn't mention Niwot as an alternative option, get a better Realtor. Many relocation home buyers fail to consider this historic, charming town - a huge mistake. Niwot has high performing public schools, beautiful open space, stunning views, and a downtown area with excellent restaurants and shops. During the summer, the community hosts live music and other events. If you're looking for more excitement, downtown Boulder is only fifteen minutes away. 7181 Longview is a large, updated mid 90's home with traditional, higher-end finishes throughout. Five beds, five baths and a three car garage round out the picture. A rare find below $1.5MM in this location. Market note: Niwot sells for a hefty discount to Boulder. The community has a large number of luxury homes, most on generous lots. During the '06-'08 downturn, there was also a substantial buildup of inventory (2+ years). Careful property selection is a must. UPDATE: Snooze you lose. It's under contract! Even in the usually sleepy 4th quarter, it's critical to see new inventory immediately. Choose your Realtor carefully. At House Einstein we regularly tour new listings when our buyers can't attend a showing and provide high quality video with honest assessments of the property. Call us for details! 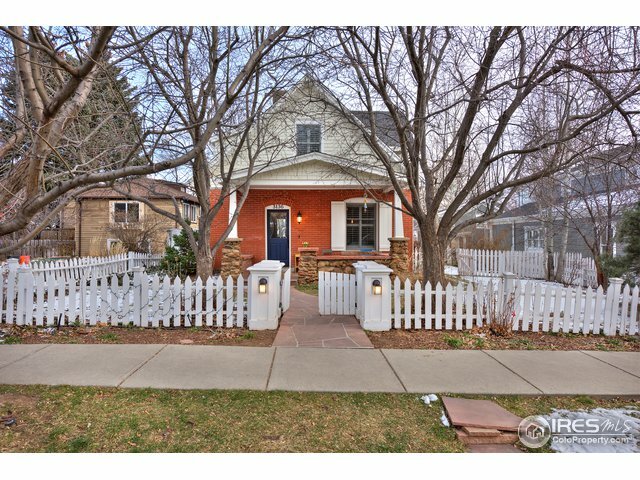 A historic three bed, two bath on a decent size lot in downtown Niwot for $500K? It seems absurdly inexpensive, but make no mistake - it's a project not for the faint of heart. Wave the magic wand and imagine it completely renovated with improved curb appeal. Now add the cost and effort of achieving that vision to the price. Does it still seem like a bargain? The answer is maybe. As they say in this business, when it comes to real estate, location is the most critical determination for long-term investment performance. The second most important factor is buying it at the right price. 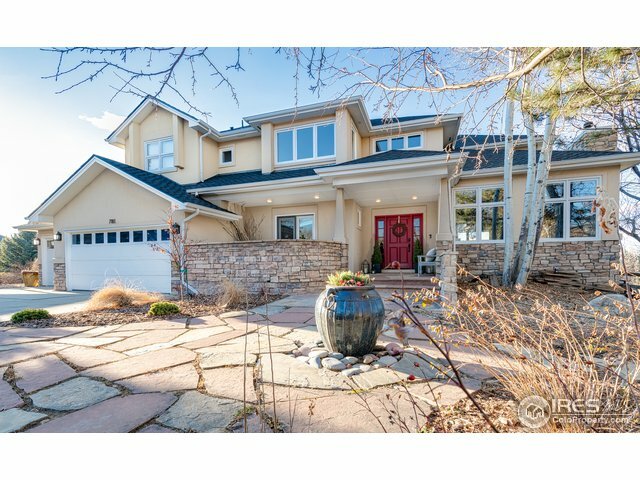 This house is in a spectacular downtown location and if you're a believer in the Niwot investment thesis (we are), then it's hard to go wrong. Unless of course there is so much deferred maintenance or other serious issues that it kills your return. Only one way to find out; schedule a showing.